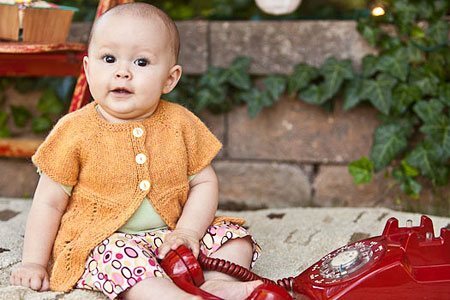 An easy cardigan for babies and small children, this raglan jacket is a quick little knit for the little ones in your life. Finished Size 19 (20½, 22¼, 25)" chest circumference, to fit 6 (12, 18, 24) months. 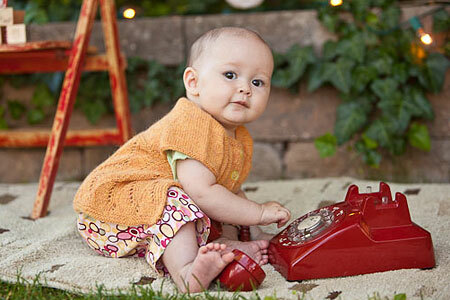 Cardigan shown measures 20½", modeled on a 6-month-old. Yarn Frog Tree Alpaca Sport Melange (100% alpaca; 128 yd [116 m]/50 g): #915 gold, 2 (2, 3, 4) skeins. Needles Sizes 4 (3.5 mm) and 5 (3.75 mm). Adjust needle size if necessary to obtain the correct gauge. Notions Markers (m); tapestry needle; three ⅜" buttons. Gauge 25 sts and 32 rows = 4" in St st on smaller needles. 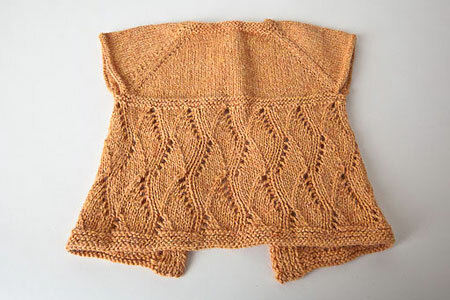 “When raglan yoke shaping is complete, there are 214 (230, 254, 278) sts: 26 (28, 31, 35) sts for each front plus 6 sts for the buttonbands”.